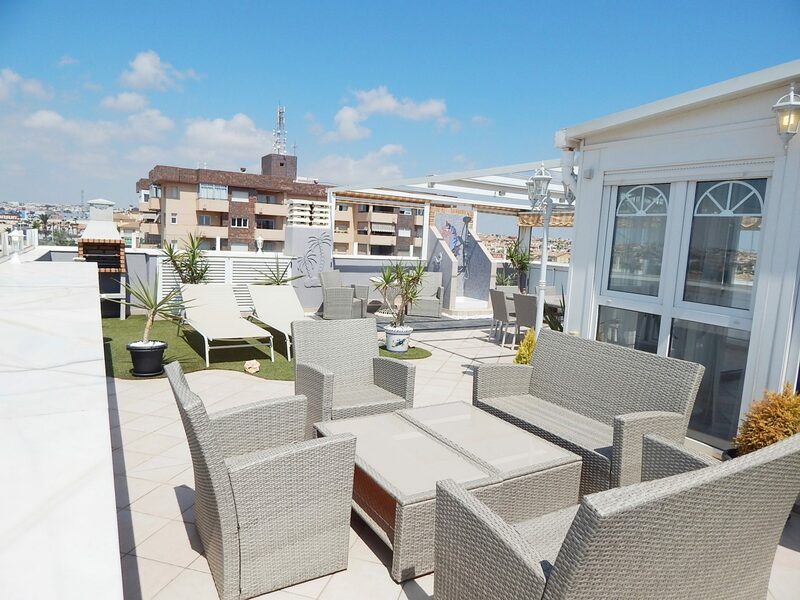 Unique penthouse with a huge private roof terrace, close to the beach. 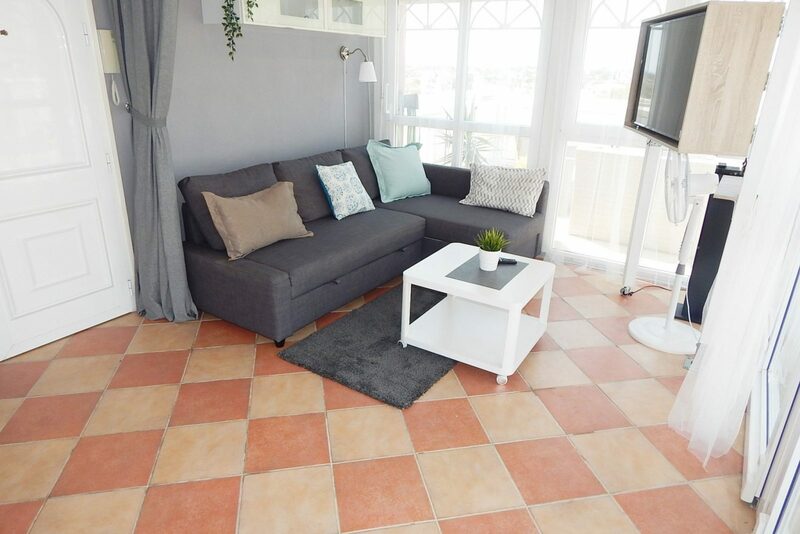 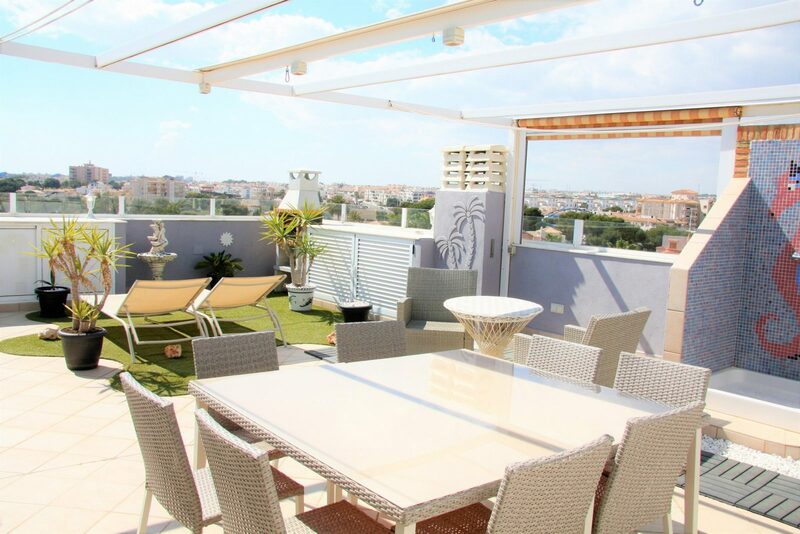 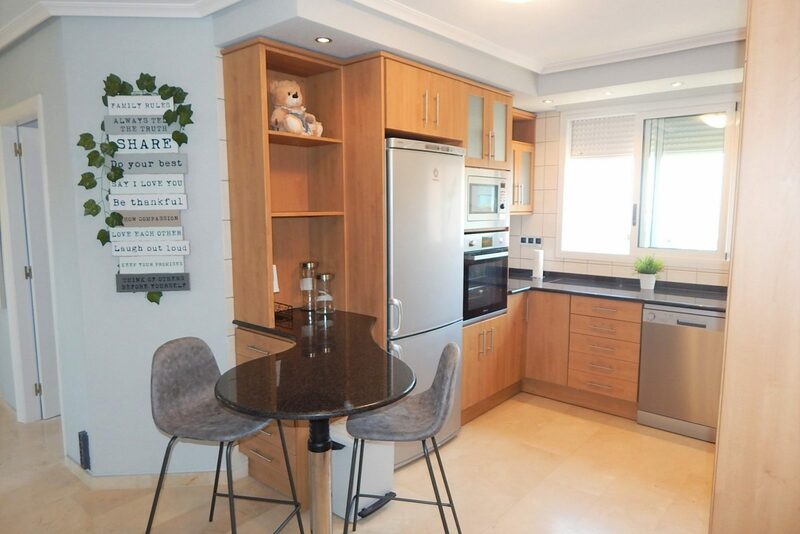 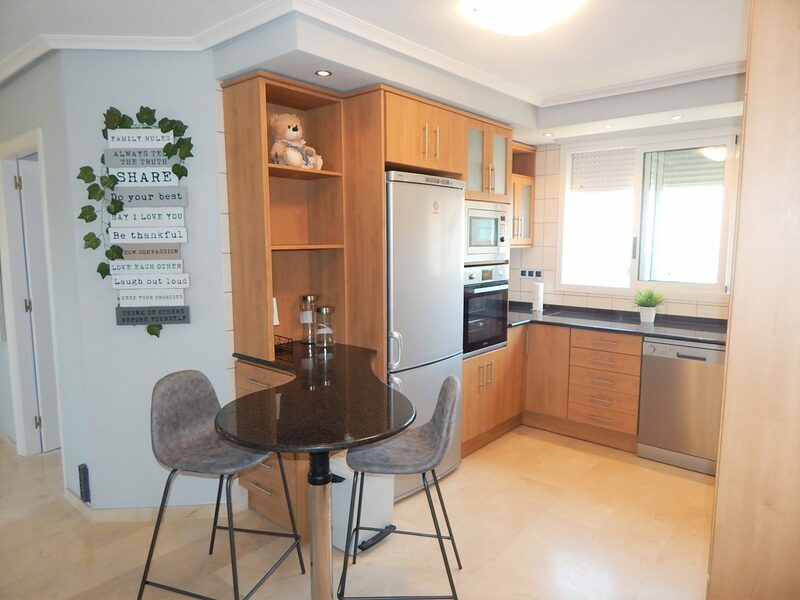 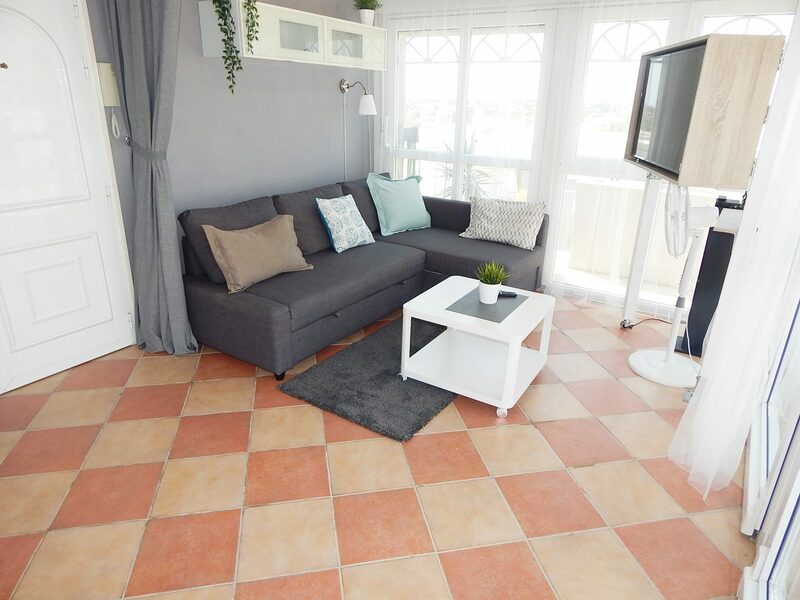 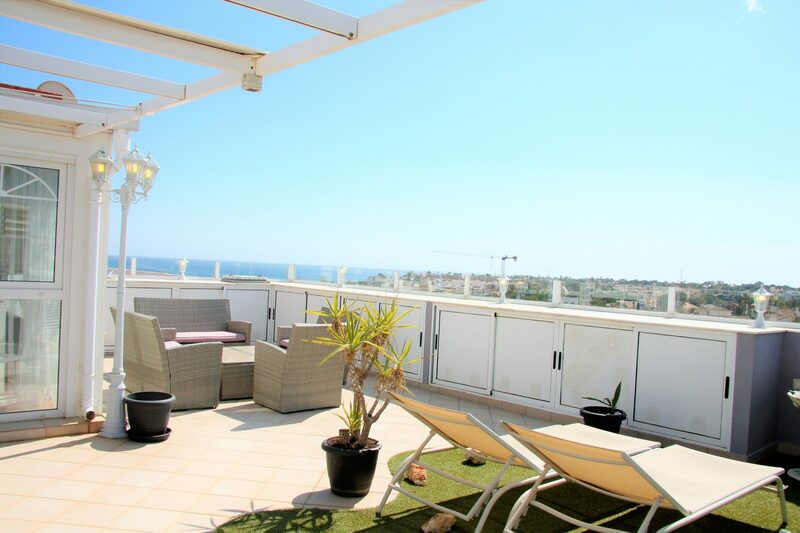 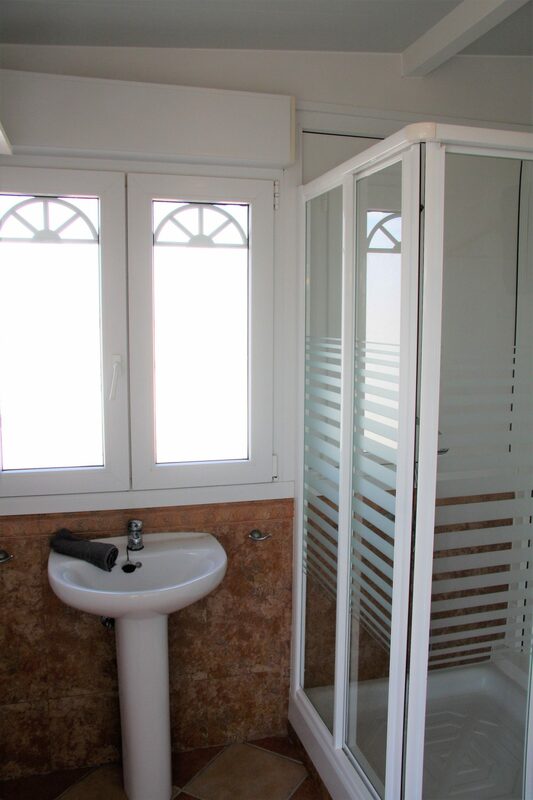 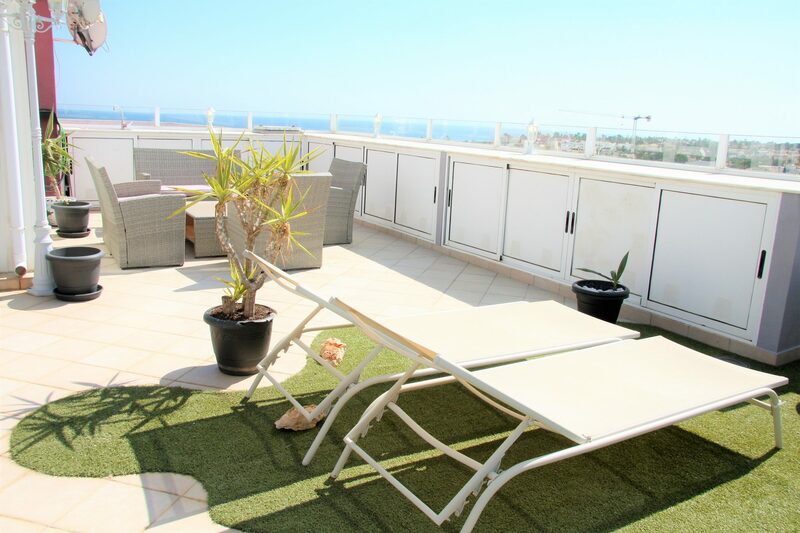 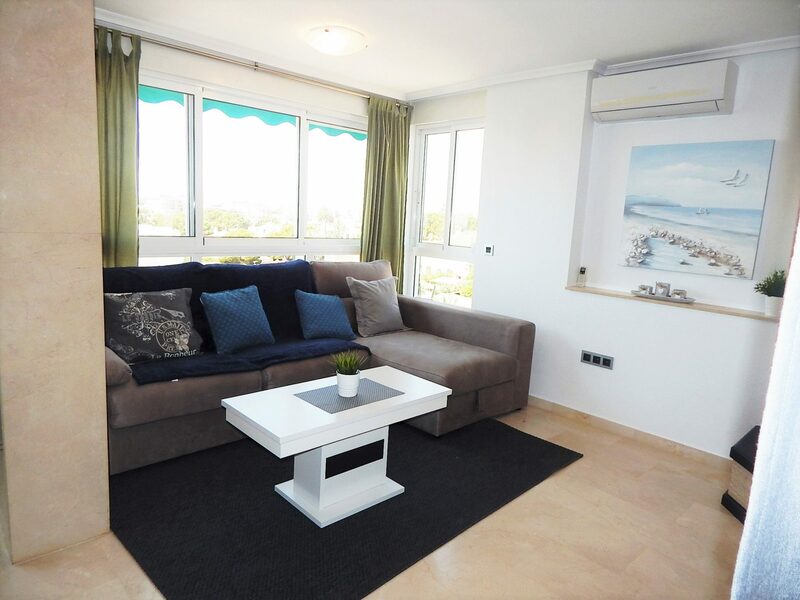 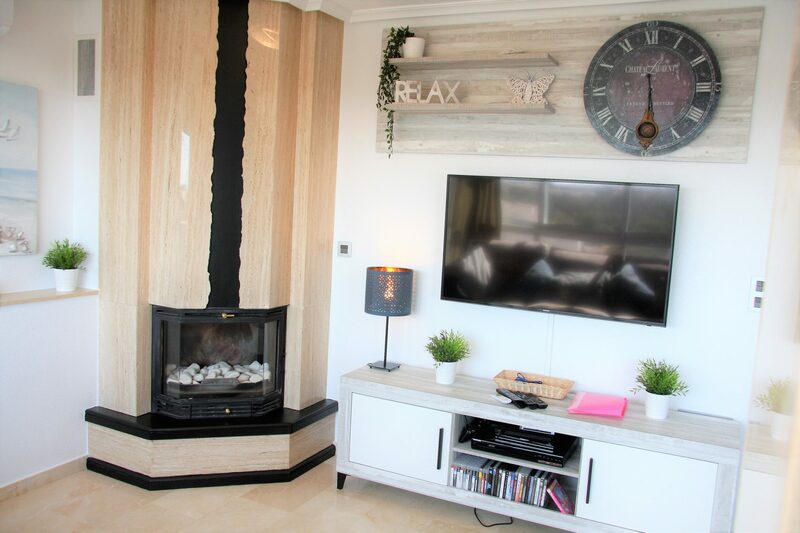 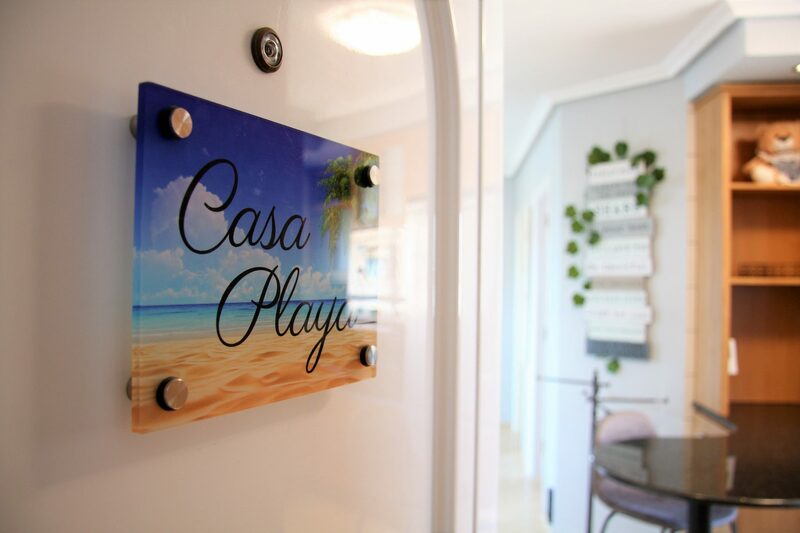 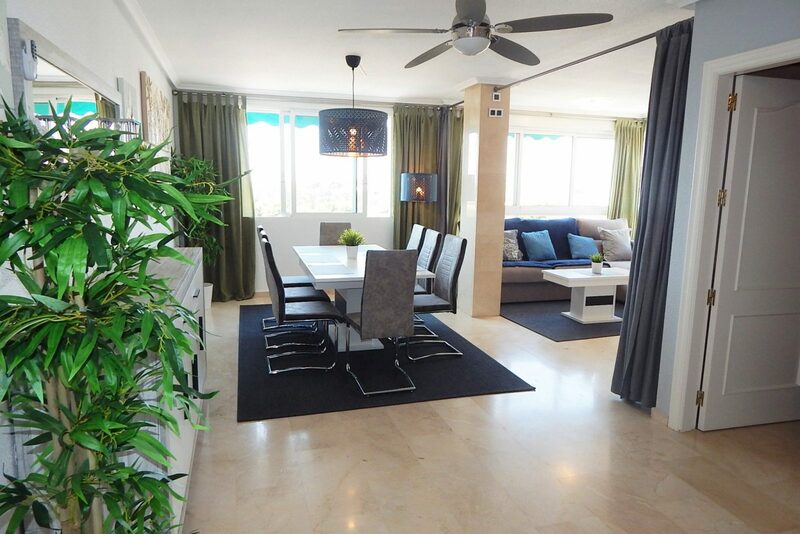 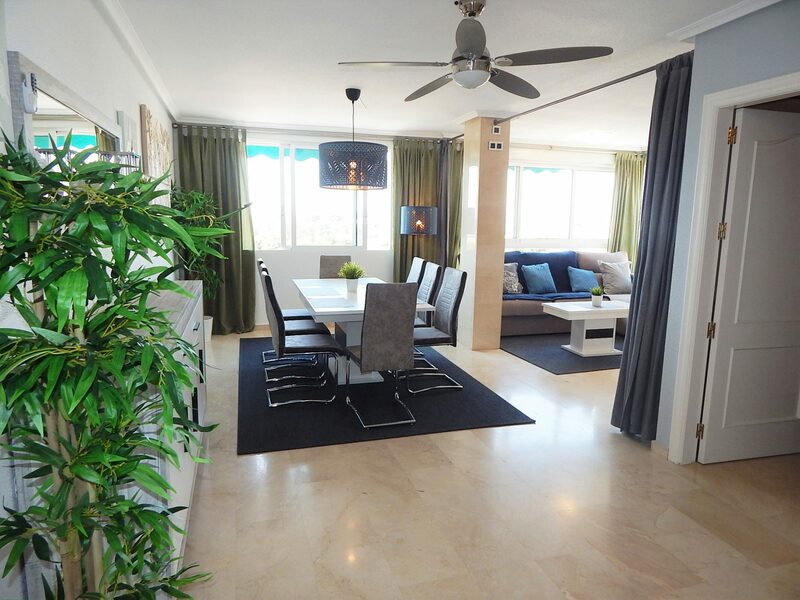 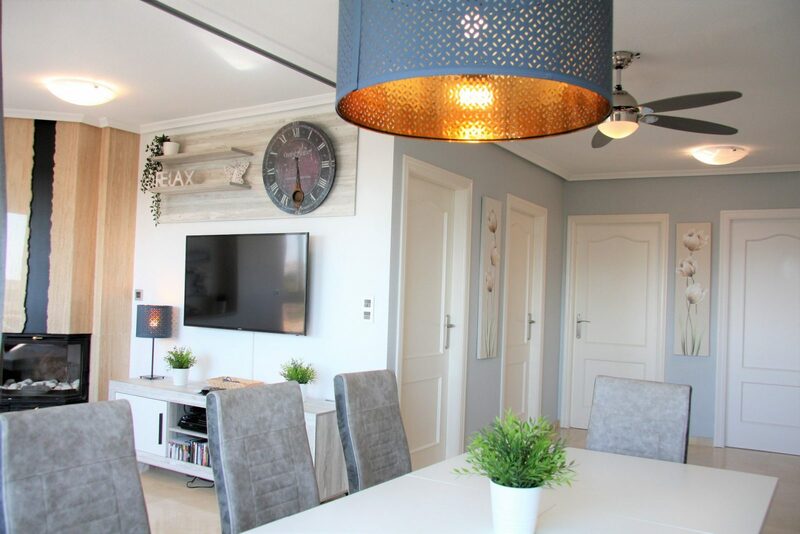 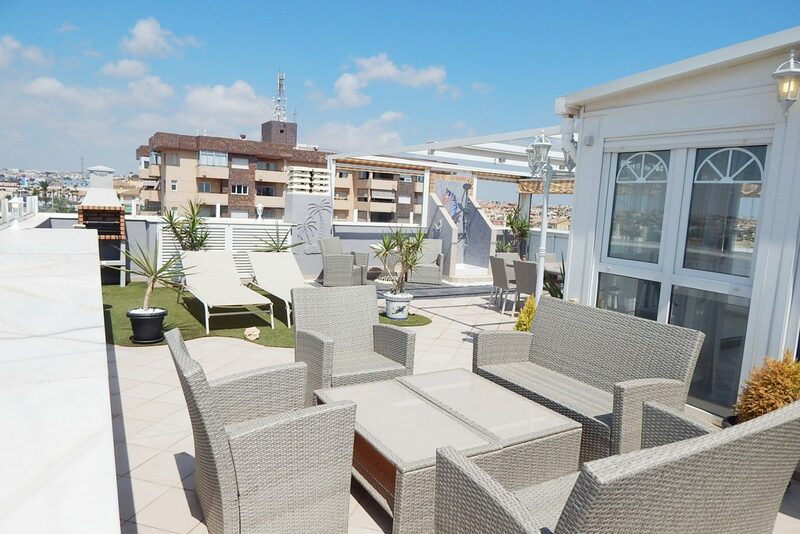 Welcome to Casa Playa – our penthouse with spectacular views over La Zenia and the mediterranean sea! 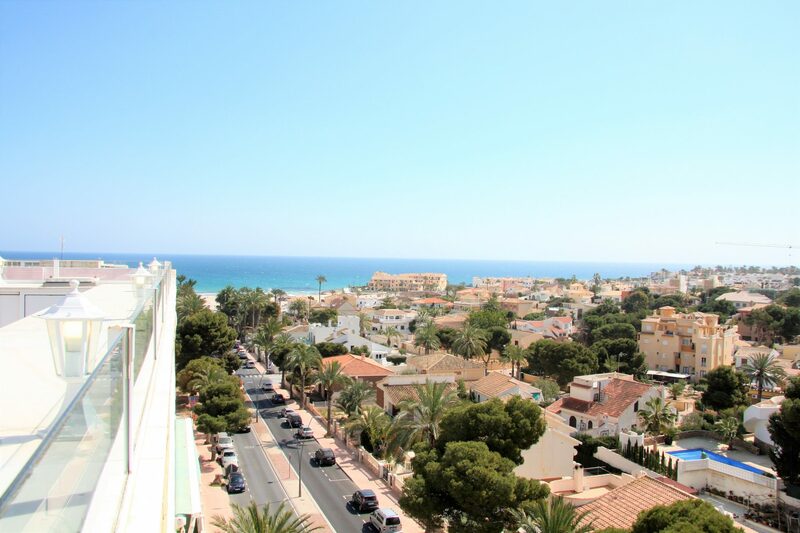 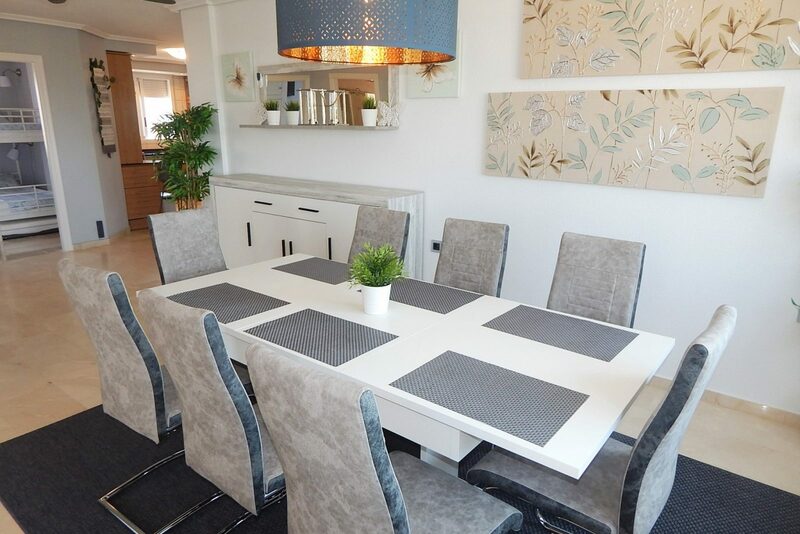 It has a great location just 250 meters to the beach and 1000 meters to Zenia Boulevard with some of the best shopping experiences in Spain. 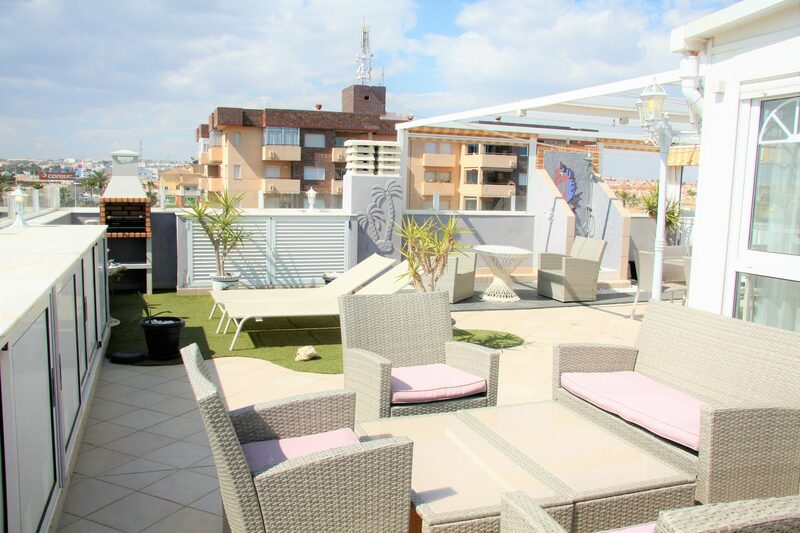 The closest supermarket (Consum) is just 400 meter away. 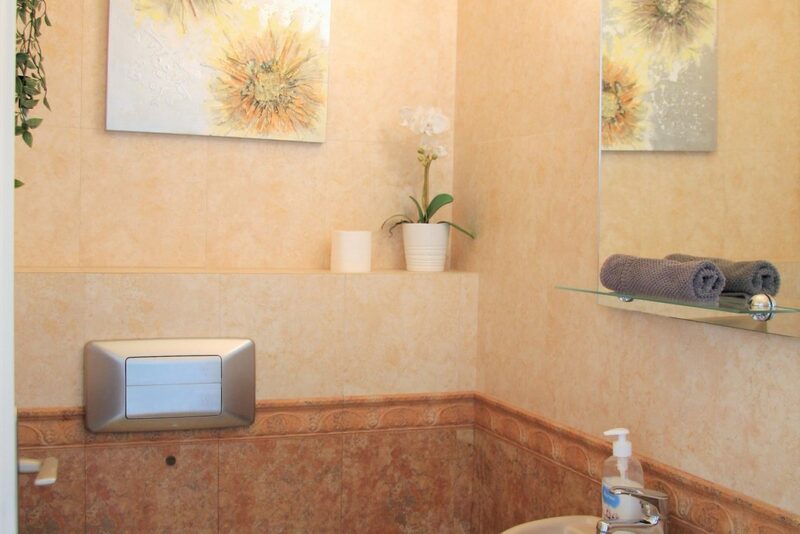 We have free parking inside the gates (under roof) and many restaurants within walking distance. 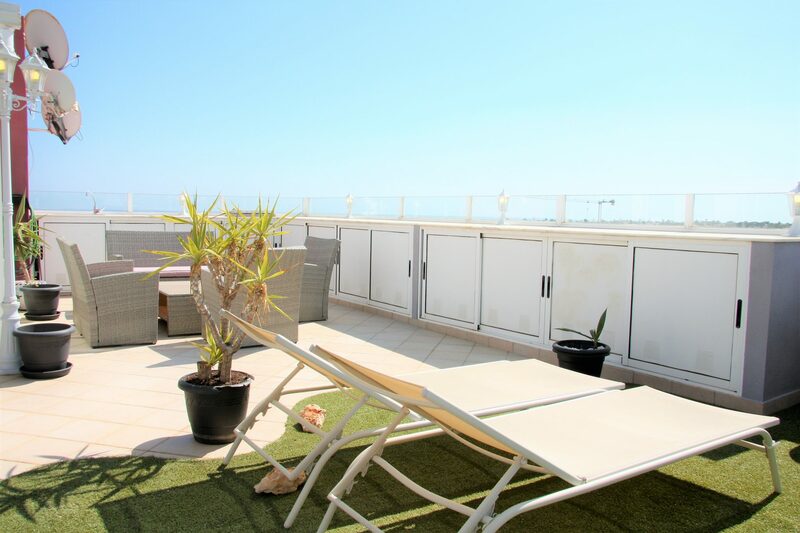 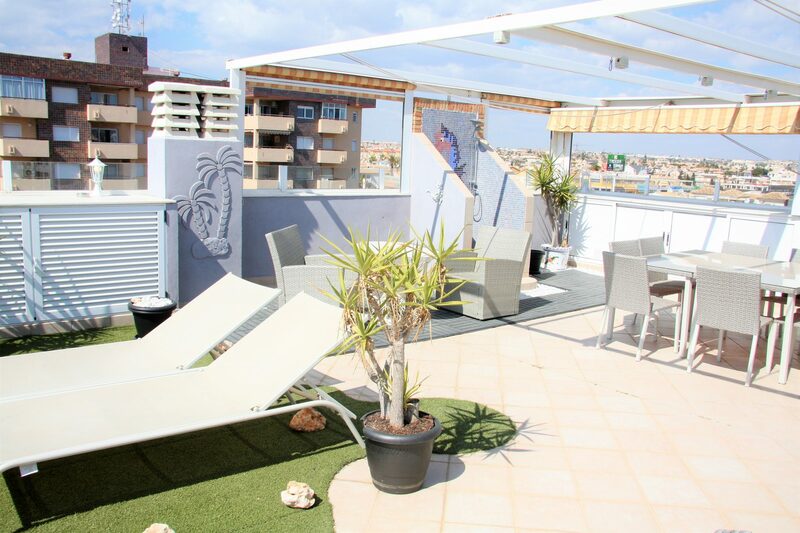 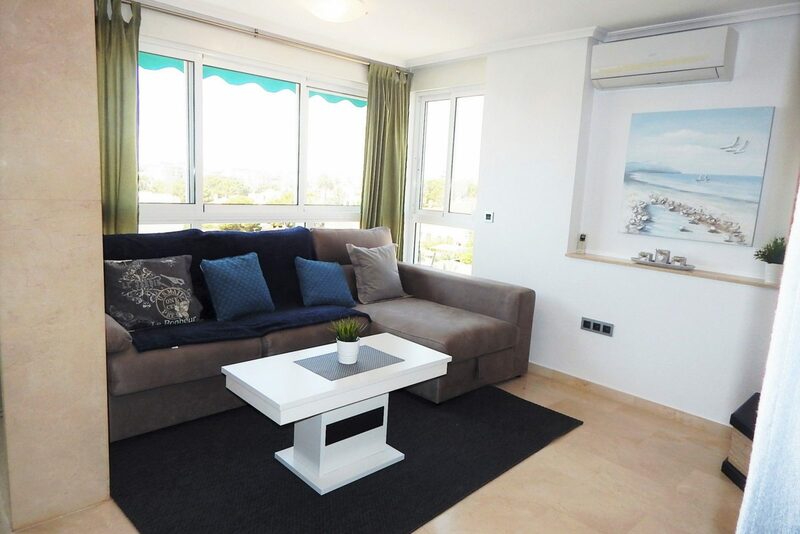 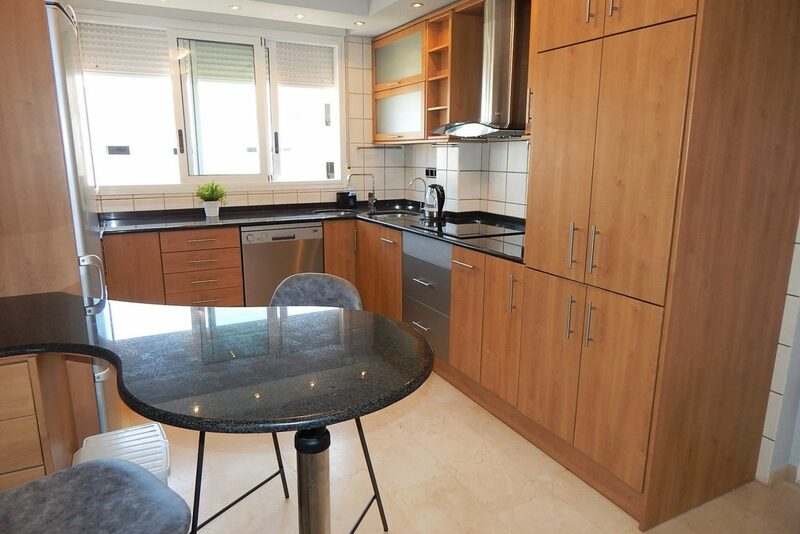 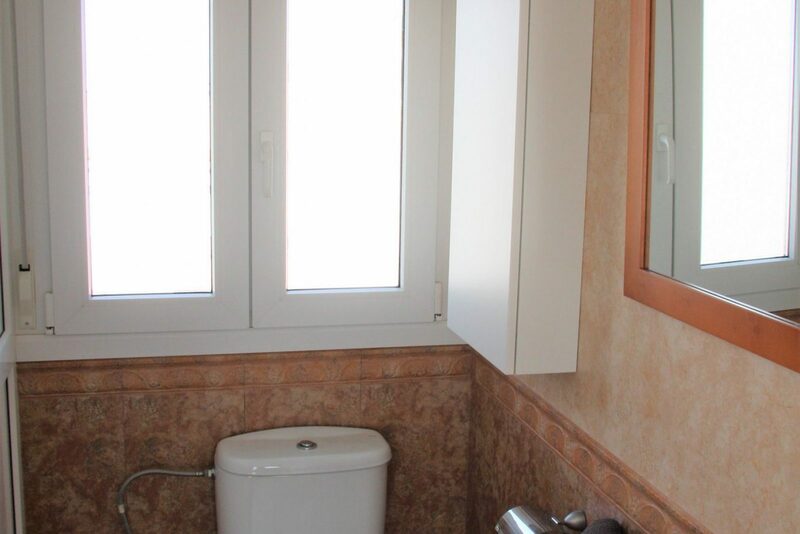 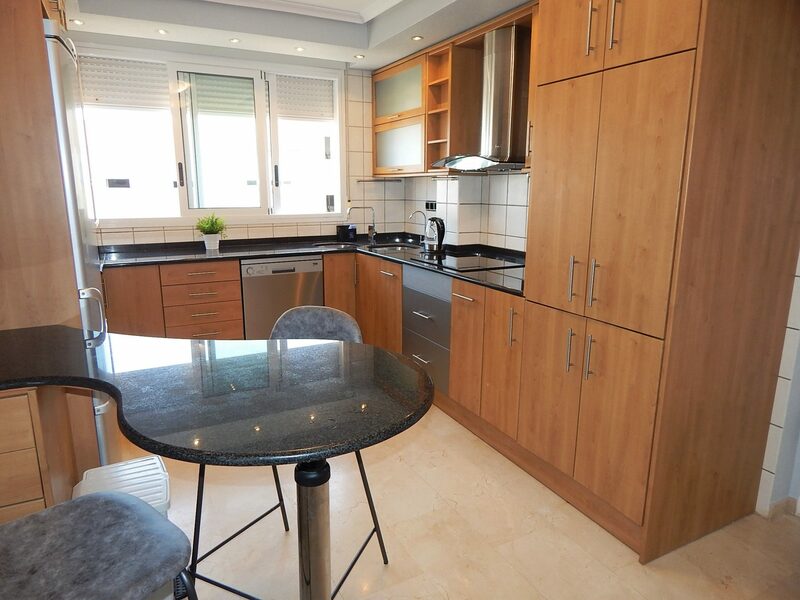 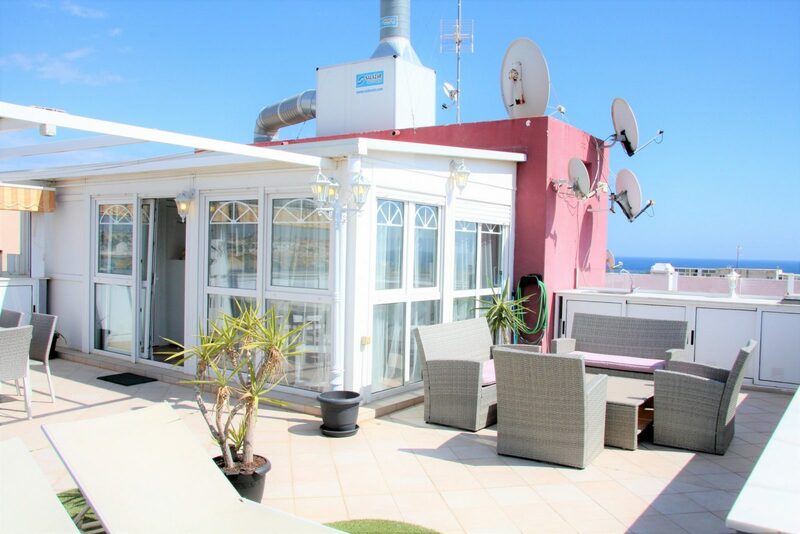 This rental consists of both the studio on top with the private roof terrace and the large apartment just below. 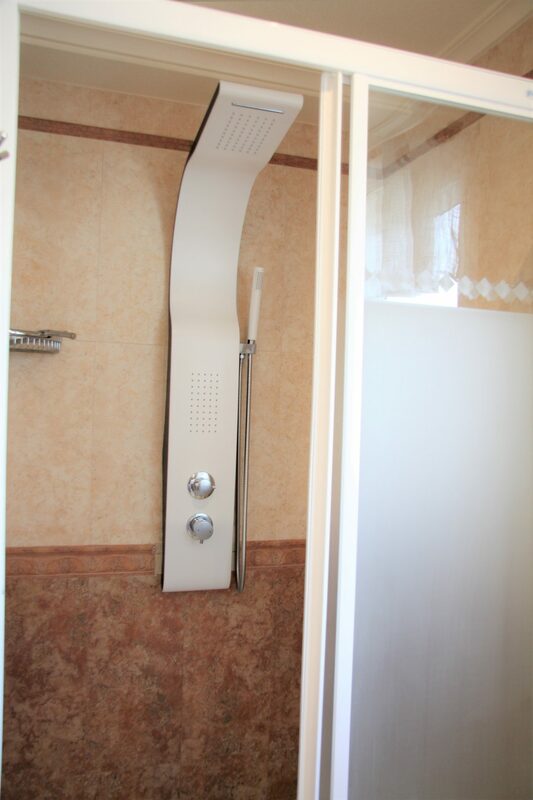 See the pictures and amenities below for more info on the property. 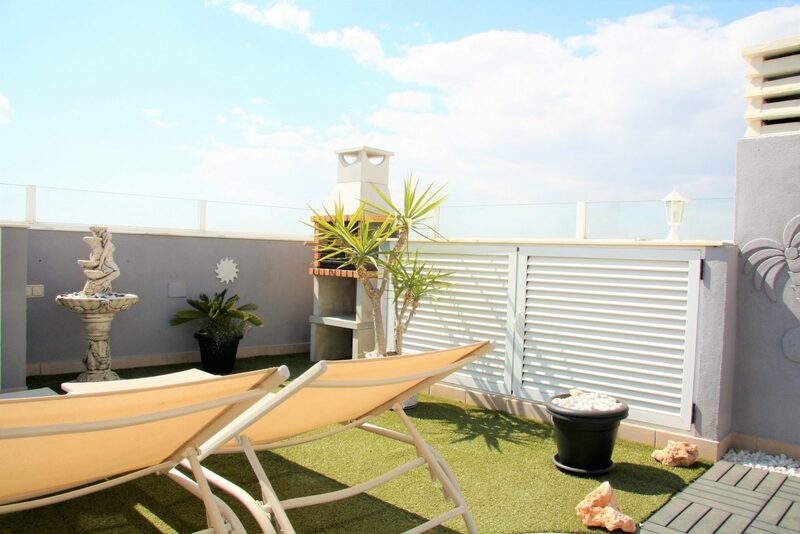 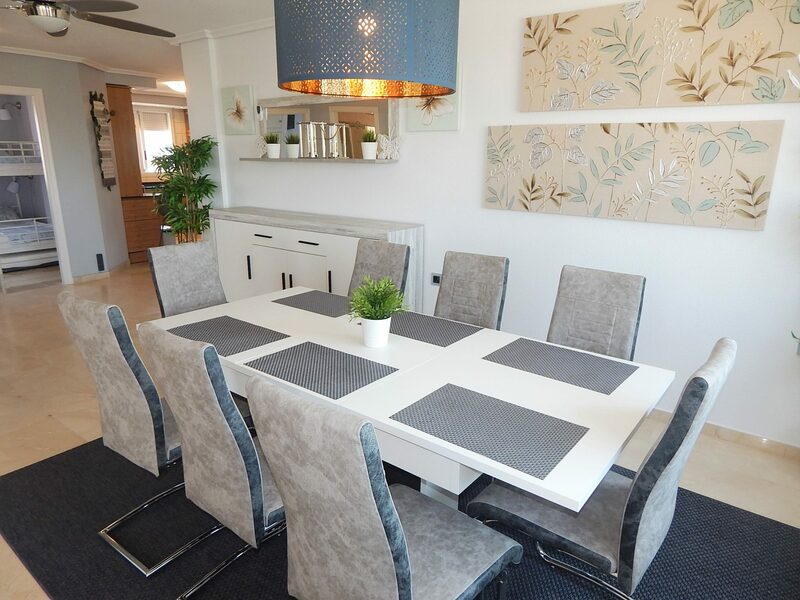 The penthouse is fully equipped, even for longer stays with up-to-date utilities. 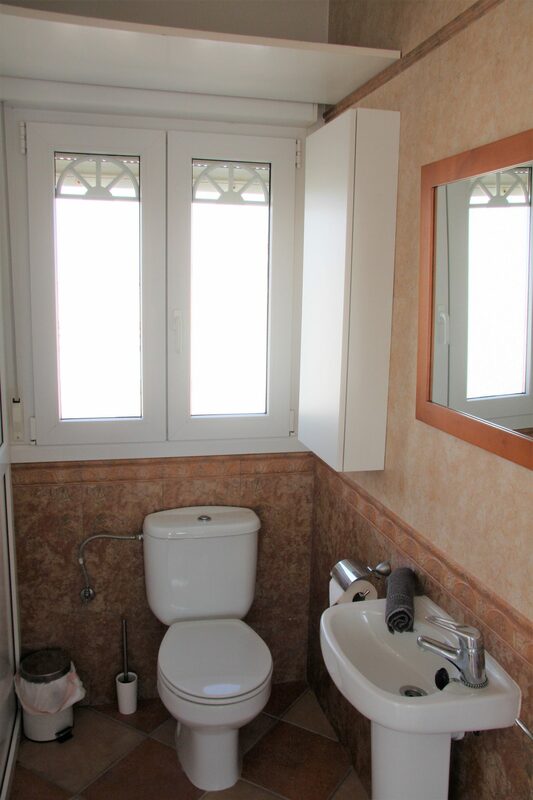 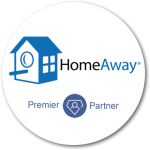 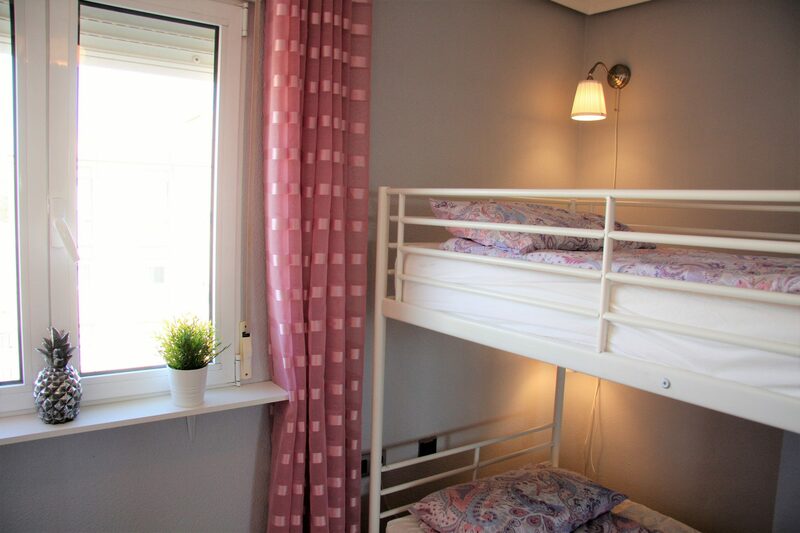 The rental price includes everything (wifi, english tv channels, electricity, water, towels and bed linen etc.) 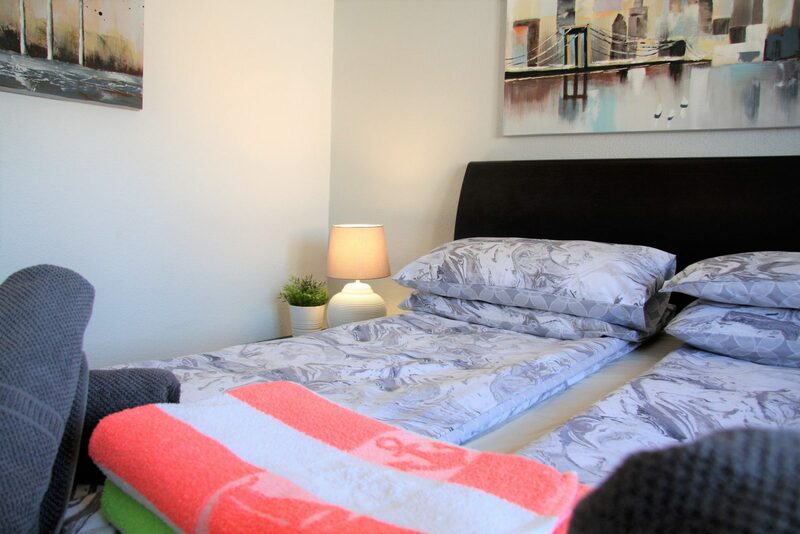 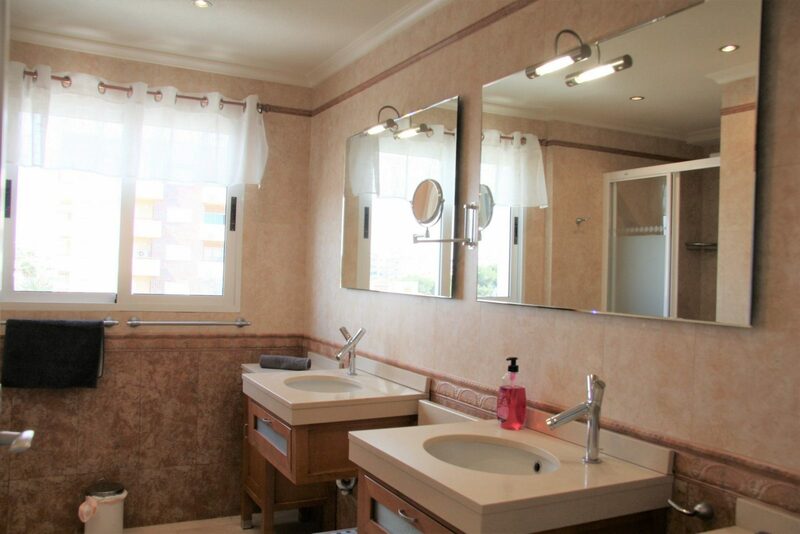 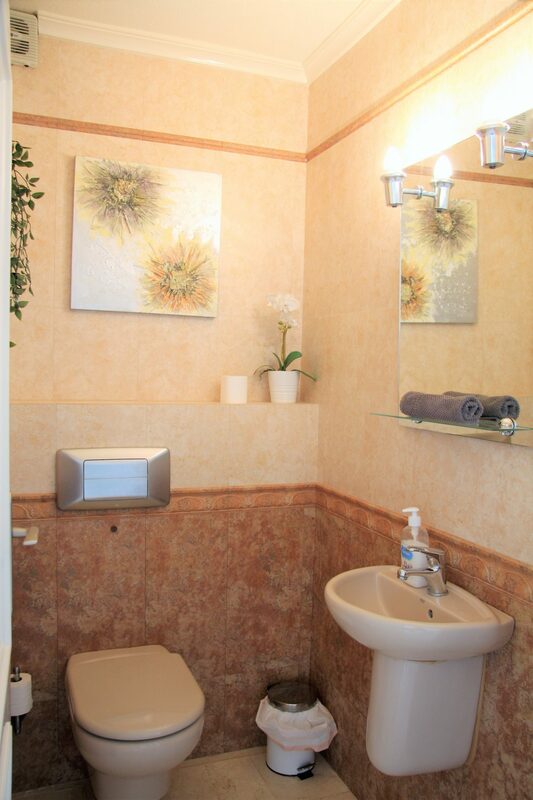 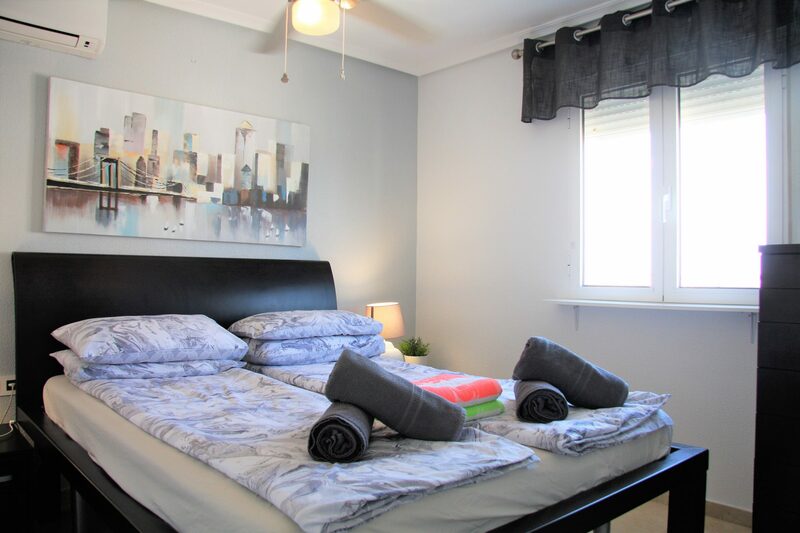 except the final cleaning and laundry fee of €90 (up to 4 persons and +€5 for each additional person above 4). 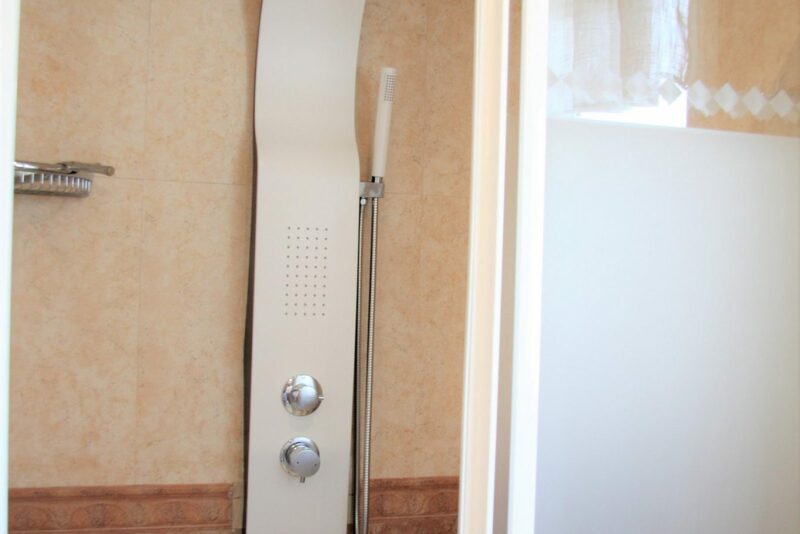 This fee is paid to our property manager at arrival.